The United Kingdom is a hot spot for entrepreneurs from all over the world. Owing to favourable business policies, along with a ready market, people often keep the UK on the top of their lists when deciding which country to begin their business venture in. The number of applicants is staggering, but everyone doesn’t get in. To get the UK Tier 1 visa you must be an entrepreneur, investor, looking for work after completing your education or a general applicant. Each of these has different requirements and procedures, based on which your visa application will get approved or rejected. For the Entrepreneur visa, all applicants must have immigration business plans. Lets’ discuss this in further detail. To begin with, you must know what a business plan. For those of you who are just beginners, you might not have a clear idea of what it is exactly. A business plan outlines, in detail, all there is to know about your new venture. Some of the key features are details regarding your product and service along with what the market is and why you feel your business will be a success in relation to the market. Furthermore, the business plan also discusses your funding sources, something which is necessary before beginning a venture. The business plan also discusses the logistics of setting up the business and the management details of the business. Your marketing strategies also need to be detailed to decide whether your business can truly be a success or not. Lastly, the plan also must have several goals which should be achieved within a certain time frame such as five years. Now, when creating a business plan for immigration all the above-mentioned components must be mentioned. However, this plan is different because it is targeting the population in the UK and not from where you are, making it slightly more challenging to write based on an increased need for research on the topic. Also, this plan is one of the major factors when it comes to applying for an Entrepreneur Tier 1 Visa, making it even more essential for it to be thoroughly researched. Why do you need to write one for the visa process? Previously, foreigners could apply for the UK Tier 1 Visa without having to provide their immigration business plans, but the UK Home Office has changed their requirements in recent years. 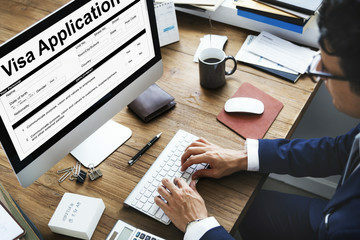 As a method of making the process of giving a UK Tier 1 Visa more effective and transparent, the Home Office made this change to ensure that those entrepreneurs who want to establish their business in the UK know what they are talking about. The business plan will assess the degree to which they have researched the topic, thus showcasing their commitment to settle and work in the United Kingdom. The plan also details the purpose of the venture, again helping the Home Office decide if the applicant’s business venture can affect the economy in any way. One of the main reasons for making the plan compulsory is to evaluate if the applicant has the funds and the backing needed to establish their new venture in the country. Though there is a financial restriction in place when applying for the visa, the plan makes it much clearer for the Home Office. How can you write perfect immigration business plans? For someone who is truly enthusiastic about their new business, the plan might just seem like a small hurdle along the way. Entrepreneurs often have a vision of how they want their business to be, but achieving that plan can be tiresome and sometimes, unsuccessful. A lot rides on your plan and the Home Office must be satisfied with its content to grant you your Entrepreneur Visa. Writing a business plan can be quite technical and for those of you who have never written one before, it can turn out to be a disaster. To ensure this doesn’t happen and your dreams of opening a business in the UK are realized, you can invest in professional business consultants who will assist you through the process along the way. Well, Business Plan Consultants in the UK will have the relevant experience required to write the business plan, giving you essential tips on factors such as the market, funding sources and the logistics on the process, having worked with other clients with similar needs. Writing a business plan for immigration is significantly harder compared to writing a normal one because of which, even those of you who have written a plan before need such services as you might stumble through the process. Additionally, the Home Office takes the business plan very seriously and doesn’t want to leave room for any error. Due to this, they are meticulous when going over these plans and yours can easily be discarded for small details. Moreover, professional business consultants in the UK have, without a doubt, gone through the process on numerous occasions, thus making them the best option to reach your goals. Though getting the Entrepreneur Tier 1 Visa isn’t straightforward, the right immigration business plans can make quite the difference towards the results. We wish you all the best!